The motto of Hangkai outboard motors is Japanese quality at an affordable price. The manufacturing company Taizhou Gongda Motorcycle Accessories Co began the history of these engines from the production of motors for motorcycles and confidently entered the world market: manufacturers rely on good quality and proven solutions. All Hangkai outboard motors are united by common characteristics, namely, high build quality, excellent technical and operational characteristics and an affordable price. In the line of these engines, everyone can buy a Hangkai outboard motor, which will provide maximum useful properties for your boat. The popularity of boat engines Hankkai is steadily growing and an increasing number of fans of fishing and tourism prefer this brand. 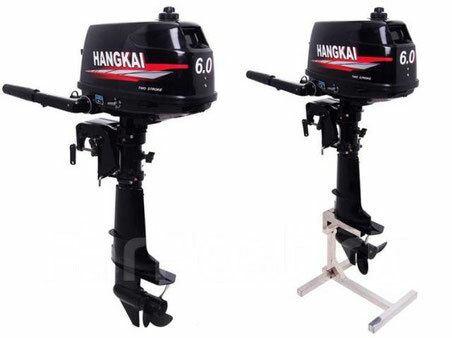 If you want to buy a Hangkai outboard motor, you will get a durable and high-quality assistant!